AwardsMall .com is a division of Total Awards & Promotions in Madison, Wisconsin which is a full service awards, promotional products and interior architectural signage company founded in 1977. It supplies a complete range of plaques, trophies, awards, executive gifts, custom pins, medallions, donor recognition, promotional products. They provide ideas and custom work to corporations, civic and non-profit organizations, schools, athletic groups, and individuals. AwardsMall.com allows you to shop online for all your recognition, appreciation and promotional needs. You can order one item or a thousand, and can specify your individual choices of style, color, and personalization. For more advanced, intricate orders, we can work with you live, via phone and email, utilizing PDF's, video and digital presentations to create the awards and recognition pieces you've always imagined. Total Awards & Promotions, Inc. serves a national and international market. Its websites serve the needs of corporations and teams around the world within niche markets including: DonorAppreciation.com, Eco-Friendly-Awards.com, and our original website, AwardsMall.com. Donna Gray is our President and one of a limited number of Certified Recognition Masters in the world. She teaches in both the awards, recognition, and promotional products industry. She was recently inducted into the industry's Hall of Fame. Donna has authored 2 books, (working on 3rd), and writes a monthly column for 2 industry magazines, Recognition Review and Corel Draw Pro and a semi-monthly for InBusiness Magazine. She was recognized by the Awards & Recognition Association with the prestigious Founders Award, and the 2009 Speaker of the Year Award. In 2012 she received the Trailblazer Award from the Governor. When Donna isn't working, writing or speaking, she enjoys reading, and spending time in one of her favorite spots, the Florida Keys. Dave Gray, our Vice President, is our very own "Master of the Physical Universe". He too is a CRM, Certified Recognition Master. He runs our shop and makes sure that if something needs to be made, it will be done and he can create almost anything you can imagine. No job is too big or small for this guy! When he's not working, Dave likes to fish and play poker. Janet Gray is our CEO and Donor Recognition Specialist. She is a second generation family member. She specializes in creating unique and custom donor recognition walls you won't see anywhere else. 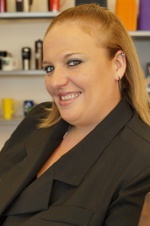 She has a real passion for customer service and works extensively with our customers to make their vision come to life. Also know for her great marketing ideas with promotional products. 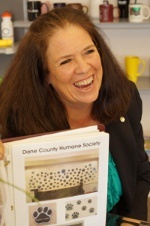 She also runs our Trophy Recycling Program and has helped us launch this program nation-wide. When she isn't working she loves to spend time with her daughter and friends and you will probably see Janet at almost any local networking event livening up the crowd! Katie Moran is our Customer Service Manager and a third generation family member. She grew up in this industry and adds several years experience as a team member. She works with our customer's to give them the best awards experience possible. Besides, buying awards should be as fun as receiving them, right? She also runs many of the engraving machines in our backroom and makes the clients awards and engraving works of art! When Katie isn't working she loves reading, Starbucks, and going to Planet Fitness with her friends! Total Awards & Promotions, Inc. is located at 6686 Odana Road in Madison, Wisconsin. It has one of the largest showrooms in the Nation. It has the distinction of being part of a 20 member Recognition Roundtable composed of company principals from some of the most highly regarded awards and promotional products businesses in the industry. In 2013 the owner, Donna Gray, was inducted into the ARA Hall of Fame. The company was named ''Awards Dealer of the Year''in 1991 and is considered by its peers to be the 'Cadillac' of the industry. The company's two principals are two, of only 54 Recognition Masters in the world. The company received the distinguished ''Sam Walton Business Leader Award'' in 1999, and The Promotional Products Association International's ''Silver Pyramid Award'' in 1999 for excellence in promotional products programs. The company was honored with the 2002 Advertising Specialty Institute's coveted Bess Cohn Humanitarian Award for it's Volunteer of the Day Program , now in it's 19th year of service, and which the company's principals have shared with recognition companies all over the globe. The Awards Division manufactures and personalizes plaques, trophies, crystal, medals, ribbons, custom pins, and certificates. 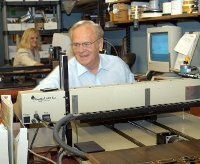 Its highly trained staff have over 127 years of combined experience in engraving, sublimation, laser technology and creative ingenuity. The Promotional Products Division (advertising specialties) has an award winning team of creative, knowledgeable people using state of the art technology and resources. They utilize their partnerships with national and international ASI (Advertising Specialty Institute Members) companies to source over 30,000 products, helping clients find exactly what they need for their promotional programs, incentive, recognition, safety and ancillary programs. The Interior Architectural Signage Division creates plastic name badges, desk plates, door identification, building directory boards, fund raising plaques, and ADA signage. All awards and signage products are assembled, engraved and imprinted in the company's facility in Madison, Wisconsin. The Donor Recognition Division creates designs for capital campaigns, memorials, fund raisers and recognition of every kind. Well known for original donor walls, they hand make and design every piece to memorialize and thank your benefactors. From your ideas to finished products, they help you design the donor recognition project that your committee and donors will love.